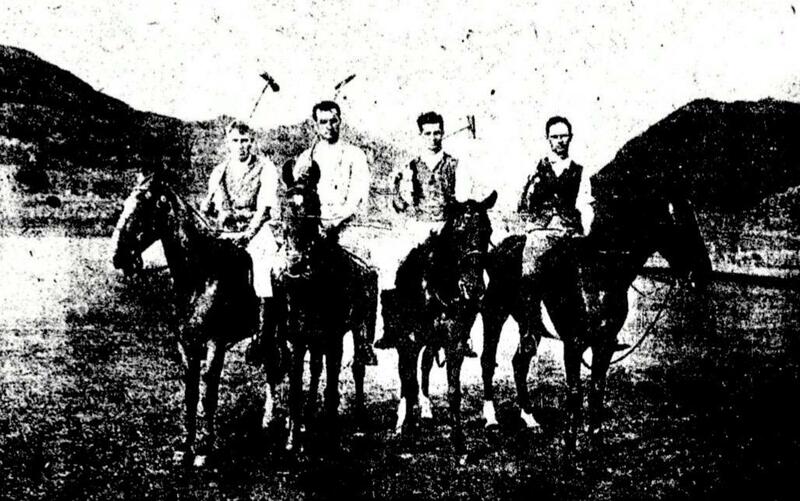 The O'ahu Polo Team poses for a picture before a match against the Maui Polo Team at the polo grounds of Moanalua in this September 1905 article from Ka Nupepa Ku'oko'a. 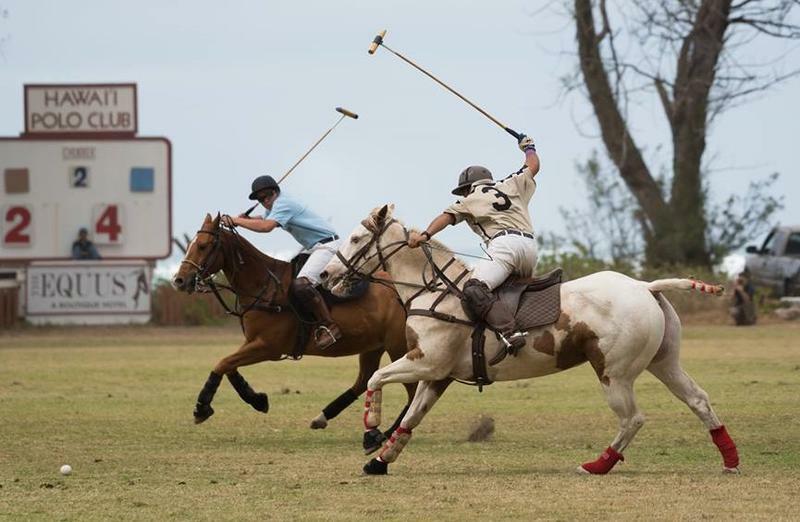 Every Sunday from April through September, you’ll find Chris Dawson on the polo fields out in Mōkūleʻia on Oʻahu’s North Shore. 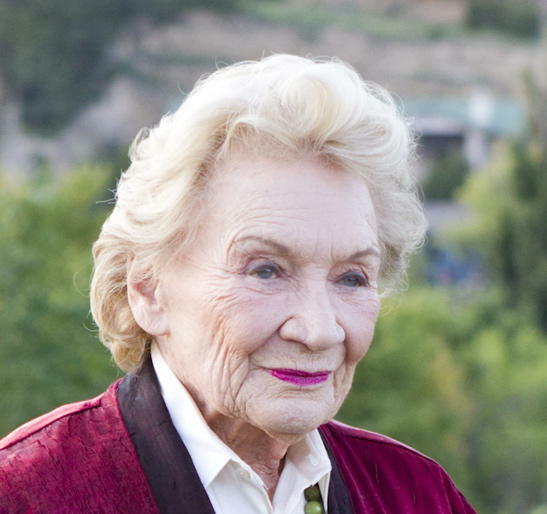 Dawson has been playing polo for 30 years. He’s the president and founder of the Hawaiʻi International Polo Association. Chris Dawson, President & Founder of the Hawai'i International Polo Association poses alongside Pua, one of the nearly two dozen or so polo ponies mounting the Hawai'i Spring Invitational of Polo. “We have an amazing history of polo in these islands that go back to 1880 during the reign of our king, David Kalākaua,” says Dawson. 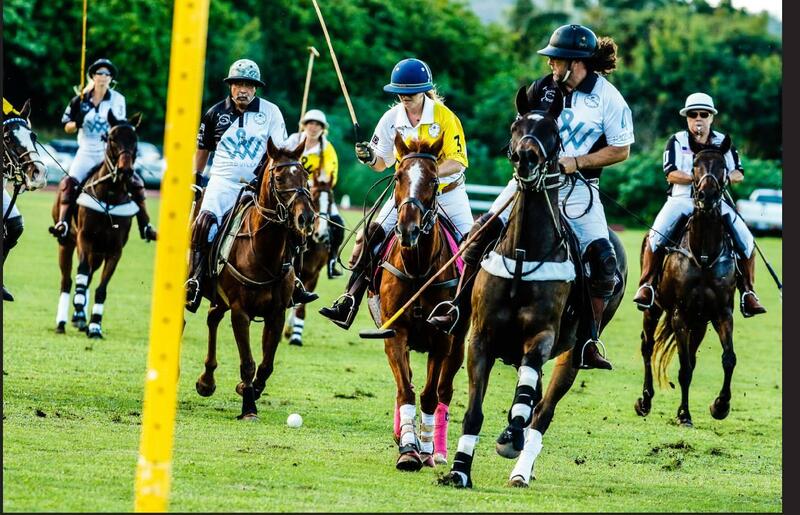 The first documented polo match was held in Palama between British naval officers and local residents in 1880. The exact origin of the sport in Hawaiʻi is unclear. One account says an Australian cowboy visiting from India brought the game to the islands. Another says British naval officers taught Hawaiian cowboys or paniolo. By the turn of the century, polo clubs were established on all islands and by mid-century, the sport peaked in popularity with Hawaiʻiplayerscompeting abroad with the world’s best. 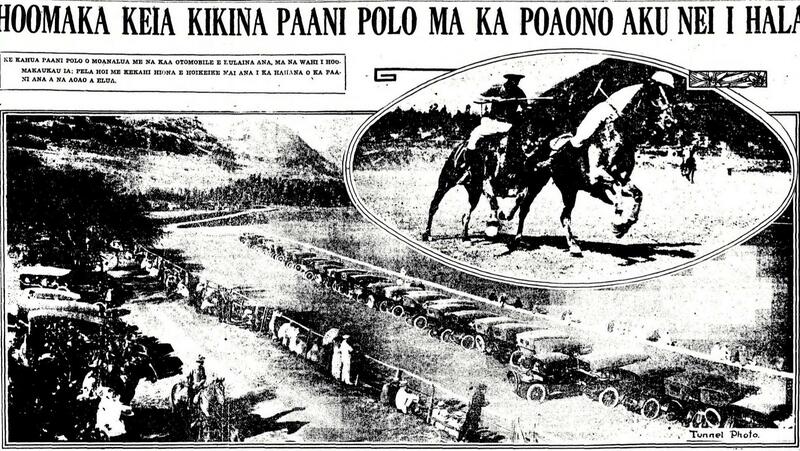 Hundreds of spectators line the polo fields of Moanalua for a match between Maui and O'ahu polo teams in July 1915. Dawson hopes to revive Hawaiʻi’s love affair with polo. “I set out on a mission. I said Hawai’i is a world-class place, we should have world-class polo,” says Dawson. For the last decade, he’s dedicated his efforts to preserving Hawaiʻi’s polo legacy and helping grow the sport in the islands. He founded the Hawai’i Invitational of Polo five years ago. 'Ele'ele's Mariano "Nano" Gracida hits the ball downfield during the 2017 Hawaii Invitational of Polo. Professional polo player Nano Gracida took up his invitation to play in Hawai’i. Polo is in his blood. Gracida comes from a long line of polo greats going back four generations. 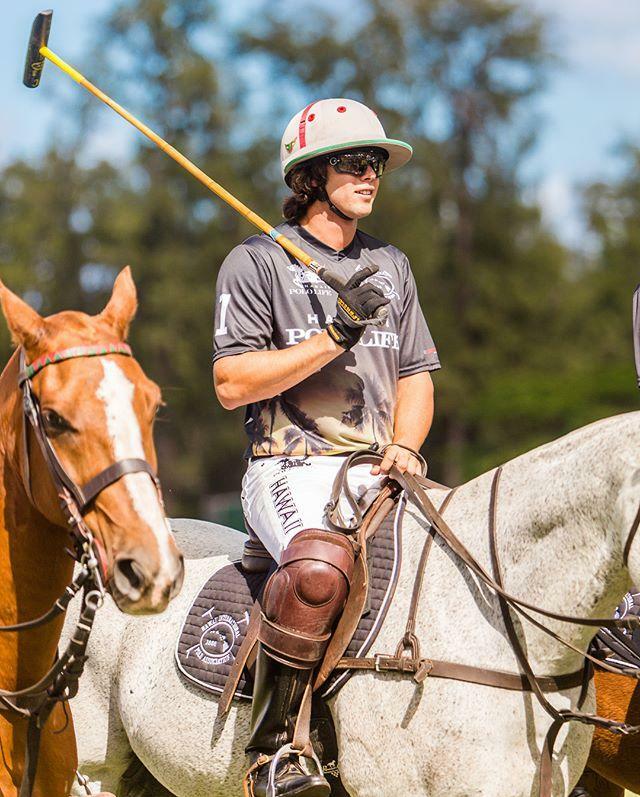 Professional polo player Mariano "Nano" Gracida will be joining other players in this Sunday's Hawai'i Spring Invitational. Ironically, Gracida’s uncles played polo in Hawaiʻi at the old termite palace, Honolulu Stadium in Mōʻiliʻili – a hot spot for polo fans from the 1950s through the 1970s. Gracida will be joining Dawson and other proplayers from Argentina, Mexico, the United States and more this Sunday on the polo fields of Mokuleʻia for the Hawaiʻi Spring Invitational. 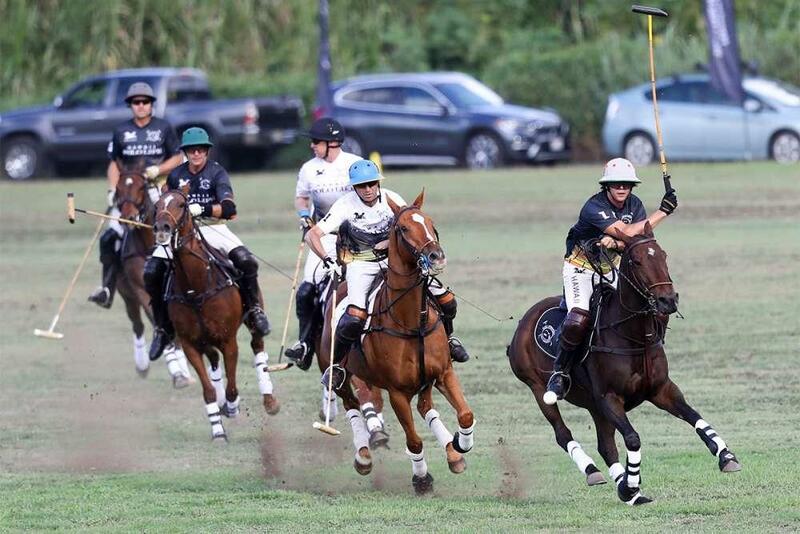 Chris Dawson, third from left, is seen here on the polo fields. For Dawson, the story of polo in Hawaiʻi is about more than just a century-old sport, it’s about a lifestyle that hearkens back to a simpler time in Hawaiʻi’s history. The Hawai'i Polo Life Spring Invitational kicks off at 11:00 a.m. at the Hawaiʻi Polo Club in Mokuleʻia. For more information, click here.